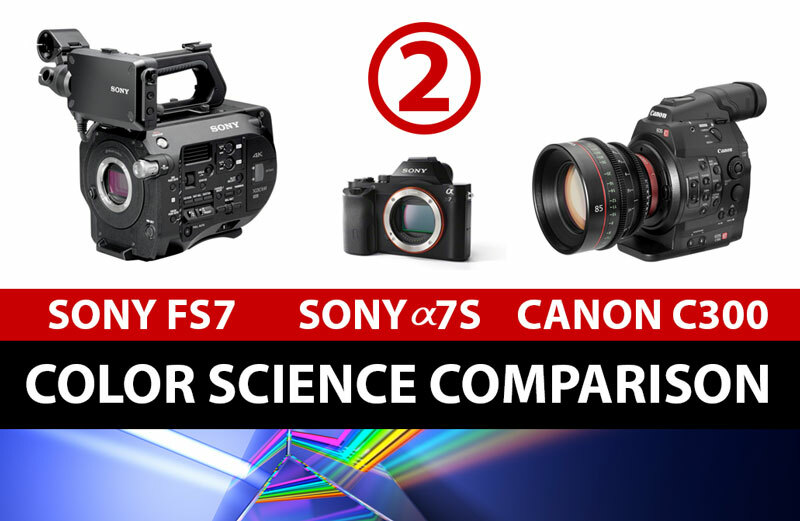 In this part of the article we are going to analyze the original footage recorded by FS7, A7S and C300 in depth and show the results of the grading. But before that, we mean to draw your attention to the outcomes of the gamma curves elaboration made by the Sekonic Data Transfer software that we were able to get by exposing the cameras within a 6 stop range (-3, -+0 and +3). Below you can see the curves resulting from the analysis of hte Canon C300 footage. The Sekonic software shows 7.8 stops of dynamic range which will end up being the lowest values of the whole bunch. Distance from the center (+-0 stop exposure as read by the stop meter) is pretty much equal on both sides (shadows and highlights) showing a balanced handling of dark and light areas of the image. FYI, the values deduced by the Sekonic software refer to the USABLE dynamic range of each camera and it’s no mistery they are usually a 30-40% lower than the “official” numbers you can see in the specs sheet. This chart refers to the A7S #4 picture profile. As mentioned in the part 1 of the article we used this picture profile to compare it with the more performing but trickier Slog2. Dynamic range is 8.1 stops as the result of the analysis of the distance between the two clipping points (absolute black and absolute white). The A7S Slog2 chart shows 9.1 stops of dynamic range with a dominant left side (more info in the darker areas). Since these results partly differ from what you can read on the internet (see Alister Chapman articles on Slog2 and Slog3) we remind you that exposure was set on the lens according to the reading of the exposure meter (despite the indications of white papers), and this is probably why Sony A7S seems to underperform in this test. 8.6 stops is the dynamic range of Sony FS7 as recorded using the HG2 (hypergamma preset). We used this preset so that we could match Canon C300 native sensitivity. As you can see the distance from the left red line to the black line in the center is way bigger than the gap on the right. This chart below shows how the Sony FS7 Slog3 features the widest dynamic range of the bunch (just above 10 stops) with a clear ratio of 6:4 in the shadows/highlights handling. Note: as you might have noticed from the video in part 1 of this article, the image recorded by the Sony FS7 using HG2 800 ISO seems to be a little darker than its Canon C300 and A7S akins. We actually felt like Sony bugged this sensitivity setting and at 800 you can expose correctly if you use the aperture values read by the spot meter set on 640 ISO. Throughout the whole test, Sony FS7 seems to be the most solid competitor thanks to its high quality codec and a pretty reliable sensor. As illustrated by Alister Chapman’s articles Sony Slog3 allows us to have a lot of information and reduced noise in the dark areas of the image if you expose 1/1,5 stops above the spot meter reading. As you can see, “SLog3 +3 stops” delivers a clean, noise-free image with a smooth highlight rolloff whereas -3 stops shows a lot of noise in almost every part of the image. You can trace this same pattern here with SonyA7 SLog2, although the effects of the underexposure are way more evident.The HG2 preset (which you might consider a baked-in REC709 LUT) doesn’t seem to handle highlights as successfully as Slog3 but delivers a clean image even when underexposed. The skin tone is hard to judge in the +-0Stop clip since it is blatantly underexposed due to the 800/640 ISO bug. Despite that, the +3 HG2 clip is not bad at all skin-wise but the highlight rolloff is not as smooth as in the Slog3 clip. Footage from Sony A7S was kind of a surprise. Its color science (but we’ll see that in the next part of this article) is not so close to its bigger cousin’s and there’s a huge difference on how Slog2 and PP4 handle dark and light areas of the image. SLog2 seems to suffer from visible noise even when properly exposed while it performs greatly when overexposed. On the other hand, PP4 delivers a nice and smooth image at ISO 800 in the +-0Stop and -3Stop range. Yet, you cannot ignore an intense blue color shift in the highlights that might ruin your footage and that you definitely must pay attention to. The +3Stop clip ended up being unusable even after intense color correction. Canon C300 HDR footage is, in our opinion, the better looking among the LUT baked-in presets. It’s balanced, colors are clearly separated and presents smooth and pleasant transitions from dark to light areas. Yet, once overxposed, things start to change and those same transitions seem to be much harsher and strong. In the underexposed footage noise patterns are all over the image, mostly highlighted by the less efficient mpeg2 8bit codec. Down below you will find the clips as they were graded through DaVinci resolve 11. Please note that I am no colorist despite being a big fan of this software. I didn’t intend to apply any LUTs to the footage since the aim of the test was to match, where possible, the clips coming from the three different cameras. By doing that, their color science discrepancies inevitably came out revealing each camera’s own “personality”. This color correction is far from perfect and I could have spent more time struggling with curves, color wheels and masks but that was not the purpose of this test. Where feasible (basically with the properly exposed footage), I used the X-rite color chart to color match the footage through DaVinci dedicated window. I strongly referred to the waveform window in order to reach a similar pattern among cameras. In the next part of the article I will address the color science issues by showing the details of the waveforms and analysing the color correction process in depth. FS7-A7S-C300 graded footage from Keyframe di Christian Balducci on Vimeo. Thank you for providing graded examples. It really helps to illustrate the differences between the cameras. I am surprised at how much noise is introduced into the underexposed C300 and A7s. The FS7 also seems to have a pretty nice roll off in Slog3 without any nasty looking highlights. 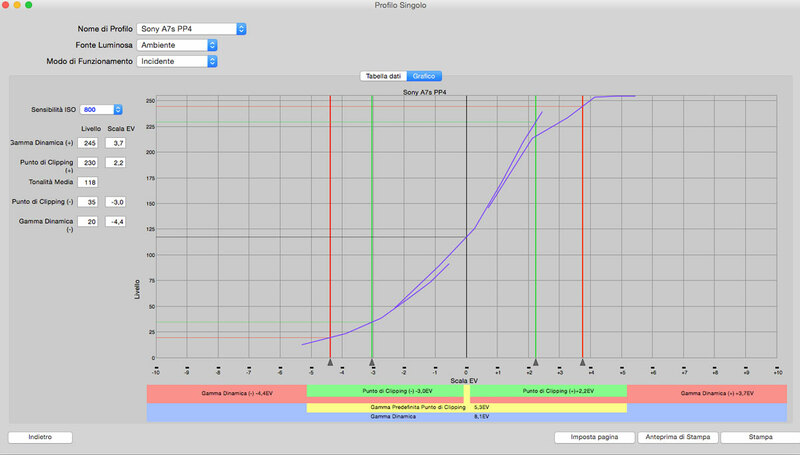 Just a note that the "correct" exposure levels for Sony's HG4 curve are somewhat lower than for normal gamma. 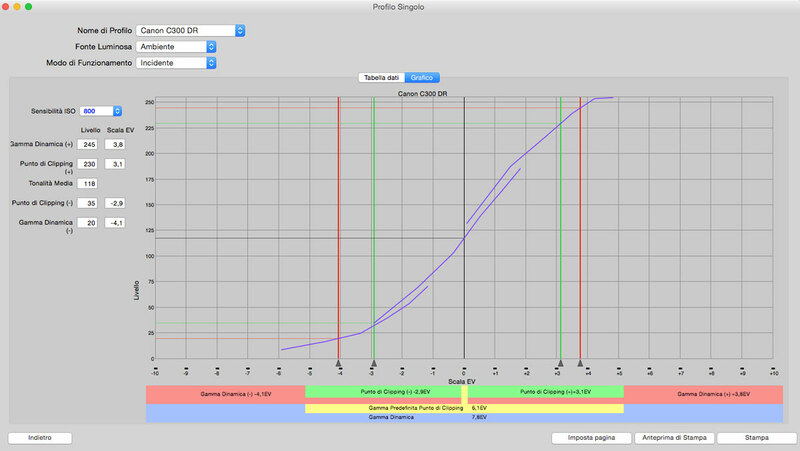 Middle grey should be 33% and this places skin tones around 55%, about 1.5 stops lower than conventional 709 levels. This is how you gain extra dynamic range. By squeezing the levels together (and black will always be zero, so squeezing levels together means that grey and white must move down closer to black) you make space for extra dynamic range. But this then results in a miss-match between the camera gamma and display gamma, so the image will look darker and incorrectly exposed, even though technically it is correctly exposed. Regardless of your opinion, or that of your consultants, concerning the Canon Log profile, I find it very odd that you didn't at least include C-LOG while going to the trouble of comparing various profiles on various Sony cameras. IMHO: Canon's WideDR is definitely not the profile to best demonstrate dynamic range or visual image quality on the C-300, especially when comparing to a newer generation cameras using LOG profiles; regardless of form factor or cost. Yes, Sony has recently begun shipping some very impressive new cameras. That said, your tests appear to be quite biased towards a pre-determined outcome. First, opinions are biased by nature and our test outcome is all about our opionion, nothing but that. I named the test "color science comparison" but I am well aware that a judgement over the pleasantness of an image (or colors) is way far from being scientific. Second, I am in the uncomfortable position of defending a choice that wasn't mine in the first place. As I already had the chance to write all over the places (this blog, vimeo page, dvxuser) I don't own the Canon C300 and I rarely got the honor to use it, therefore I relied on my fellow friend and appreciated cinematographer's judgement. He felt confident setting the C300 like that and we all agreed on it. Third, I went to the "trouble of comparing various profiles on Sony cameras" because: 1) I own a Sony A7S and I seldom use Slog2 because of its tricky way of handling the image and I wanted to understand things a little better. 2) FS7 Slog3 seems to be one of the major topics all over the forums because of its peculiarities and we wanted to break it down a tiny bit to try to see how to make the best out of it. Last but not least, we think Canon C300 is still probably the best S35 digital camera able to produce a great image out of the box and we wanted to compare those two new Sony devices with this kind of quality (not a "log" signal). Moreover, as I stated earlier, CLog is not a real LOG profile and despite its popularity among C300 users or its performances, it cannot be compared with other real Log profiles (like Sony's). In the bottom lines of part 1 of our article there's a link to download the ProRes version of the original footage video file. Why don't you download it and have fun with it? You might find out something new and interesting and we would be more than happy to know your results. Or better, why don't you run a similar test, according to your preferences and user's experiences and share it with us? Maybe, starting from where we left, or just taking what you consider worth repeating. The main reason we decided to run this test in the first place is because we wanted to know if Sony FS7 could be a good purchase for Federico and me. We could have kept the results for ourselves, avoided a three-day write (English is not my native language and it was pretty hard to put all things together) and saved myself from comments like yours, that certainly don't encourage me to do this sort of thing again. Yet, I still think that knowledge is for sharing and I am sorry if you feel like our "tests appear to be quite biased towards a pre-determined outcome", I know we cannot make everybody happy but once for all I want to say that this test outcome is about our opinion and not some scientific facts, so take it as it is... there's no need you agree with it. Thank you very much for your work and for sharing your results. It helped me a lot to make shure that the fs 7 will be my choice! Thank You! Thanks a lot Hasan. Glad you appreciated the effort. Hello Thank you for this exelent post, and your clear explanations. I tried to create a sekonic profile for my a7s (SLOG2) to measure the over exposure (+2) every time i shoot, But without sucess. I managed to create it for my D800, 5D, but not the A7s, it show me an error. 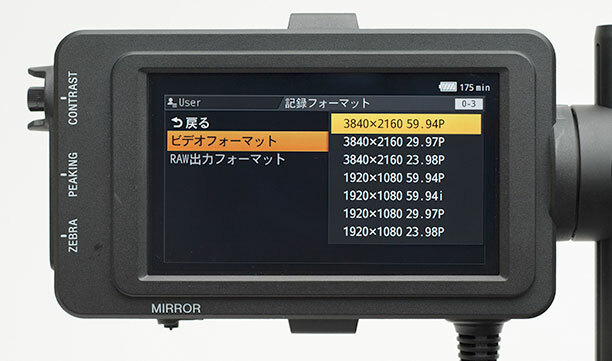 I tried the same for GH4 on CinelikeD, same problem. How did you do the setup to creative the profil ? It would be nice if you can share it with us. Thank you in advance. 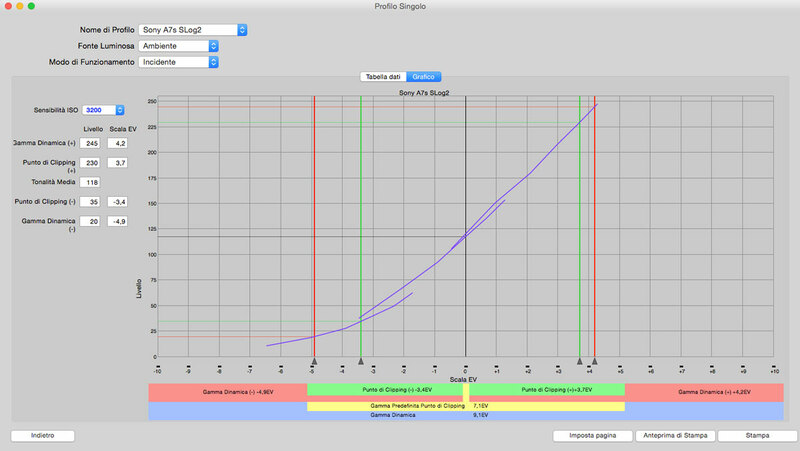 Hello Keyframe, i mean the sekonic software curve profile, not the camera one. Like the one on your images. Hi Auxmar, those curves were determined by the Sekonic Data Transfer Software which analysed all three steps (-3, 0, +3) of the footage recorded with each camera. They were used just to reveal the usable dynamic range of the cameras' sensors, nothing more than that. I know you can build custom profiles with the Sekonic spotmeter but since i don't own it and I merely used it a couple of times before (it belongs to dop Roberto Cimatti) I can't be of great help here. Sorry.